Russ began his career in the garage door industry in 1992 as a service and installation technician. In 1997 he moved to North Carolina and began an 11 year career with Wayne Dalton Corporation. Russ worked as the Service Manager, Commercial Estimator and Commercial Sales Manager until he was relocated to Columbus in May 2006 with Hugger Dock Equipment. He returned to Wayne Dalton Corporation 1 year later as the National Commercial Sales Manager until his departure in November 2008. Angela spent 13 years in hotel sales & marketing. She started as an administrative assistant and from there she was promoted to Catering Manager, Senior Catering Manager and finally Director of Sales & Marketing. She worked for such companies as Holiday Inn Hotels in Northern Michigan, Radisson Charlotte Hotel, The Omni Charlotte Hotel and The Duke Mansion in Charlotte, North Carolina. She “retired” from the hotel industry after her and Russ relocated to New Albany. Expert Garage Doors began in December 2008 after Russ’ departure from Wayne Dalton. With the assistance of his partner in life, Angela, they began the challenging adventure of owning a business. With his years of experience in the industry and her sales & marketing experience, they felt they had the “tools” needed to be successful. After 5 years working side-by-side, they have beat the odds of many small, start-up businesses. Their formula for success is outstanding customer service, attention to detail and consumer education, all provided with a professional image. For more information about Expert Garage Doors, or to schedule an appointment call 614.775.5151. In April 2014 Expert Garage Doors joined forces with Nofziger Doors Sales, Inc. a residential and commercial garage door service company based in Plain City, Ohio. Owners, Russ and Angela Corey feel this is a good “marriage” of two family owned and operated companies. Russ will be a key member of the Nofziger team as Commercial Sales Manager and Angela will be part of the transition team as two great companies become one. The idea of a smaller service company joining forces with a large service company makes good sense. Expert customers can still expect the highest level of service and professionalism, while having the benefit of a larger team of sales and service personnel. Russ & Angela have spent 5 years building a solid company with an excellent reputation and service rating in the Columbus market. 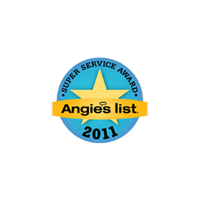 They have received the Angie’s List Super service Award every year since becoming eligible in 2010. Expert is also high rated on YELP, Google and BBB. We have invested our heart & soul into Expert and want to see this merging of two great companies be completely successful. We want Expert customers to know they will not feel any “growing pains” with the merge; we are fully committed to this process. Angela and I will continue to be an integral part of the transition and management of our Expert services. Nofziger Door Sales, Inc. has been in business for 60 years and continues to be family owned and operated. We appreciate your support of Expert Garage Doors and look forward to continuing to provide our excellent services in the years to come. Our number is the same so call 614.775.5151 to schedule our Expert services!